The Philadelphia Baseball Review released its Division-I College Player of the Week awards on Monday for the period ending April 14. 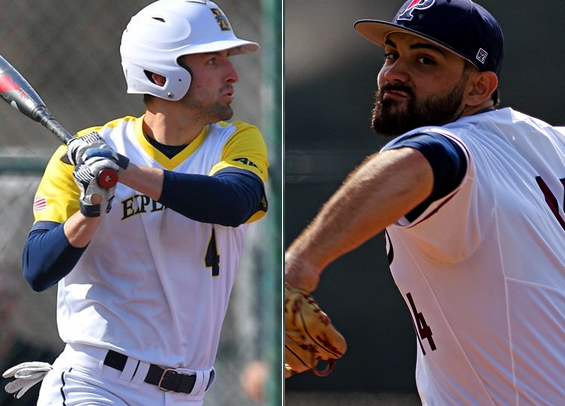 La Salle senior second baseman Peyton Sorrels was named the Philadelphia Baseball Review's Hitter of the Week, while Penn junior right-hander Christian Scafidi has been named the Philadelphia Baseball Review's Pitcher of the Week. Sorrels finished the week 8-for-16 (.500) with four runs scored, a pair of doubles, a triple, and a homer. He drove in a pair and raised his average on the season to a team-leading .368. He also leads the Explorers in OPS (.961), total bases (72), and slugging percentage (.529). Scafidi collected a season-high 11 strikeouts while tossing 8 1/3 scoreless innings for the Quakers in a 1-0 win over Ivy League rival Princeton. He scattered six hits and walked three while lowering his ERA on the season to 3.43. The start marked his second consecutive outing of at least eight innings.